Marvel provided a look at two characters from upcoming superhero movies. 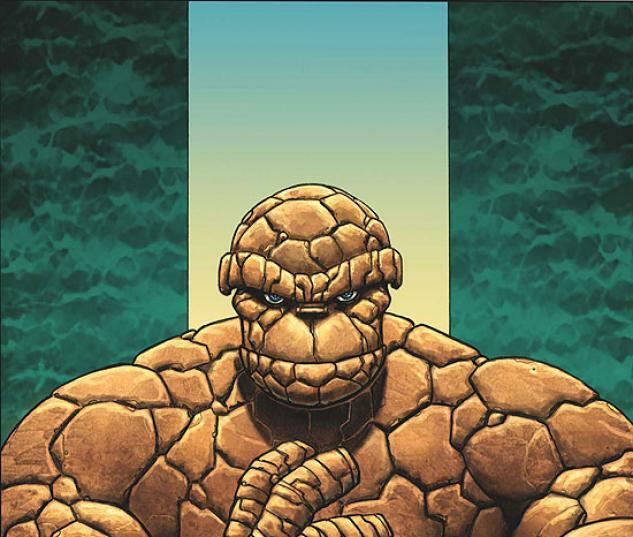 First up is The Thing, the guy made entirely of orange rock from the“Fantastic Four”. In the upcoming reboot he’s played by JAMIE BELL . . . a.k.a. “Billy Elliot”. I’d say he’s relatively close to the version in the comics, although they did away with the heavy rock EYEBROW. Of course, they did the same thing with the MICHAEL CHIKLIS version in the first two “Fantastic Four” movies. Next up is Vision from “Avengers: Age of Ultron”. He’s played by PAUL BETTANY, and he’s pretty close to the comic book version, except for the color scheme. Meanwhile, the director of the upcoming DC Comics movie “Suicide Squad” posted a picture of the cast at a recent script-reading. It included Will Smith (Deadshot),Margot Robbie (Harley Quinn), Cara Delevingne (Enchantress), and Viola Davis (Amanda Waller). After a lot of people noticed that Jared Leto wasn’t there, the director Tweeted a photo of Jared as the Joker.